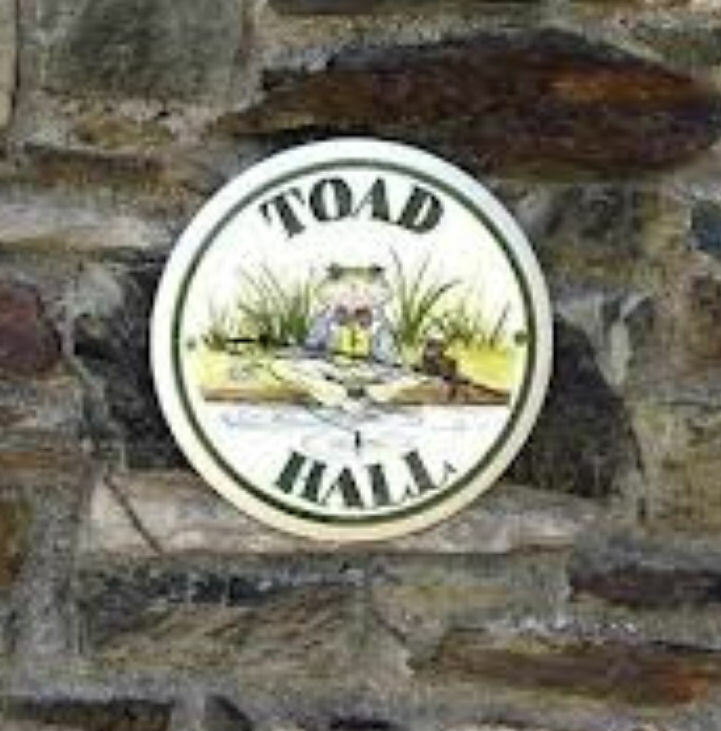 In the past most dwellings were identified only by a name. In small towns and villages this would not have presented a great problem for the local residents in locating dwellings as they probably knew the majority of the other locals anyway. As populations increased in size, however, it became obvious that a controlled system of street naming and numbering was needed. Sections 64 and 65 of the Towns Improvement Clauses Act 1847. Sections 17, 18 and 19 of the Public Health Act of 1925. This legislation requires the Local Authority to prepare street naming and numbering schemes and to maintain a good standard of street nameplates. An official notice was sent to each house affected to inform them of the number allocated. It was required that the number be marked on the house within one week. 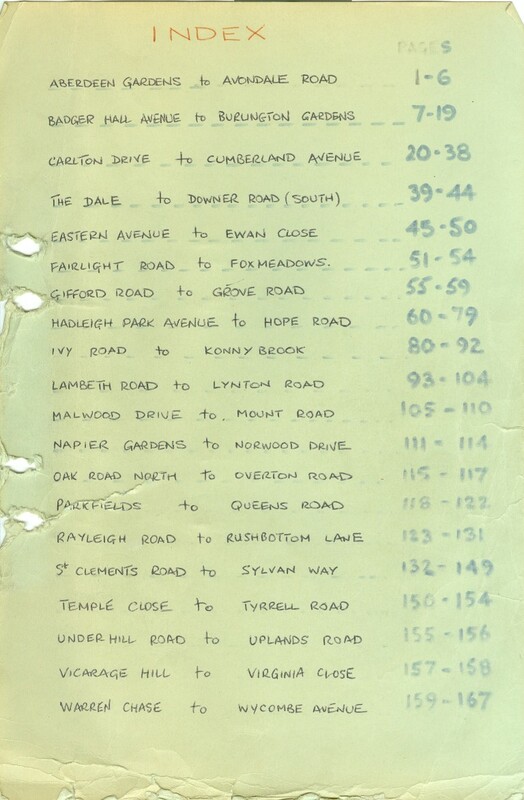 The documents at the bottom of this page are sections of an old register of house names in Benfleet, Hadleigh and Thundersley showing the number that was allocated to each property. Immediately below is the Index for the register. This old register has already been of use to The Archive. We had been unable to identify even an approximate location for the bungalows in the photos below but fortunately the name of each appeared on the register (note that the present High Road used to be London Road) and we were able to find a number for each and determine the probable location. 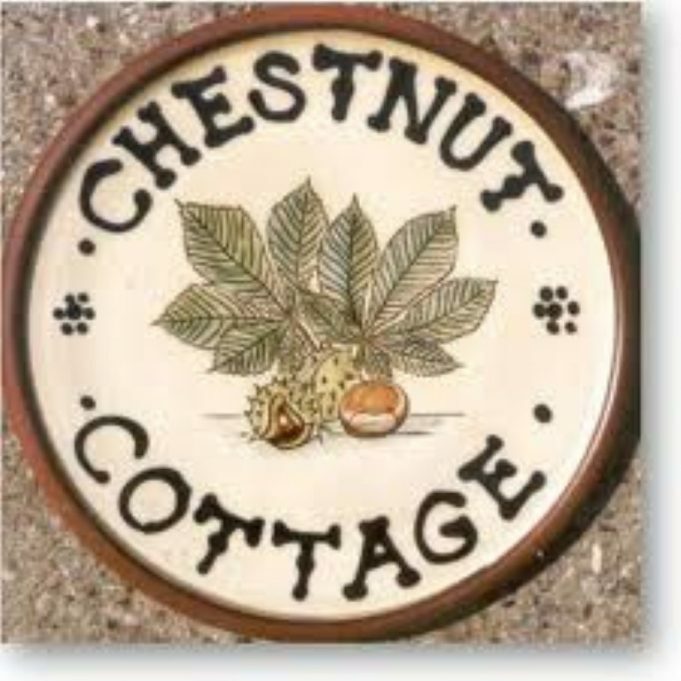 Does your house still have the same name? After house numbers were allocated many occupiers decided to keep the original name and use it in addition to the number. Does your property still have the name shown on the register? If so, we would be interested to know and we would like to add the information to this website. A photo of the nameplate would be very welcome. Please add a comment on this page or contact us. 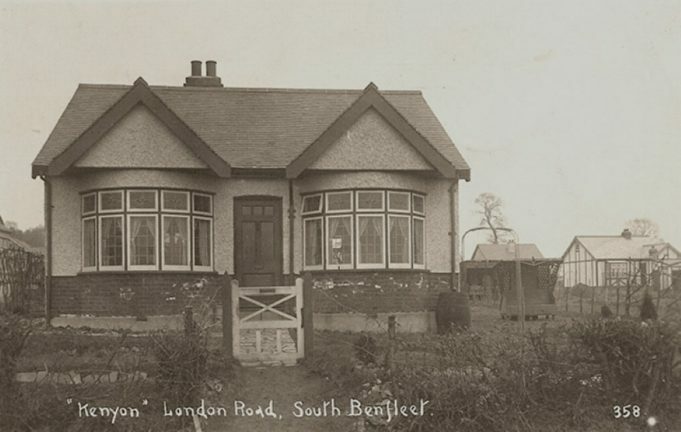 The Benfleet Community Archive would like to thank Bill Snow at Castle Point Borough Council for making the register of house names and numbers available for us to copy and add to this site. Our house “Formosa” on Roseberry Avenue built on or after 1919 doesn’t appear in the list, in fact none of the original houses on the lower half seem to be listed. When was this list drawn up? Editor:- Thank you for link . Hi, would it be possible to have a similar list made up for Rectory Road, Hadleigh? This would help my research greatly ..
Editor: Rectory Road is available above. Click on the PDF named Philmead Road to Rosemead. The roads are listed alphabetically. These lists are a really useful resource – thanks so much! 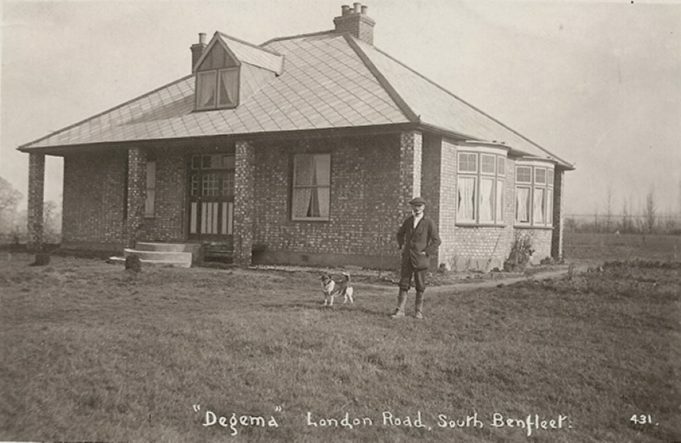 I have some additional house names – for example in New Park Road No.7 which became the current No.16 was called Pendennis when it was first built – it’s still the original building, though they all look rather different these days. It belonged to Charles Blowers who also owned Ravenscroft further up New Park Road. Ravenscroft isn’t on the list, but was the next house along from Shandon, new No.67. When my parents bought Haven View in Oakfield Road in 1954, they said it was still called that, but by the time I was growing up in the early 60s it was 169 Oakfield Road. 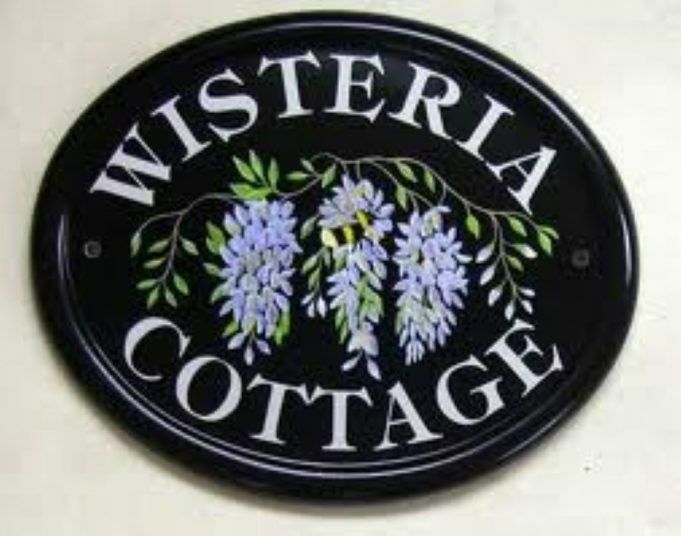 I believe it was built in 1928, and mum said before them it had been lived in by two sisters and a lot of cats! Every room was painted a murky green colour, and every time we re-wallpapered, the colour would re-appear. Originally it had a flat roof, there were 4 like it in the area, but dad got tired of annual roof repairs, so a pitched roof went on at the end of the 70s. I was born in 1948 at Westleigh, Thundersley Park Road, which eventually became number 40. Still there but much altered. Wasn’t the congregational church in Kenneth Road? I suppose the factory might of been partly on Kiln Road and Kenneth Road, anyone know? The old council offices may account for some numbers, but wasn’t the Congregational Church behind that as well?. Did the odd house numbers in Kiln Road begin at number 15 The View? What happened to numbers 1 to 13,or 1 to 11 taking in account there might not of been a number 13? Did the old council offices sit on this site? Just to give an idea about how casual the actual sale of plots in Benfleet actually was. When the site/plot for number 197 Thundersley Park Road was purchased by my Mum and Dad, Gordon and Eileen Reed in about 1955ish. It was found to everybody’s horror, the prefab Bungalow up the hill was actually built on the wrong plot. It took a lot of wrangling, dealing, moving chicken houses, denials, arguments and untold expense to sort out. This was on 2 or 3 plots which were very close to Jarvis Hall too! Oh well, those were the days. This affected the numbering, which was assumed and not measured, so the original numbers had to be changed. For reference and factual accuracy! Thundersley Park Road, 187 is Addiscombe a Bungalow. 191 was Morinville a large house. 197 was The Chimes a large Bungalow. Addiscombe is still there, but now a Chalet with a reduced rear garden. Morinville and The Chimes have been demolished to produce The Chimes Estate which also includes part of the rear garden of Addiscombe. 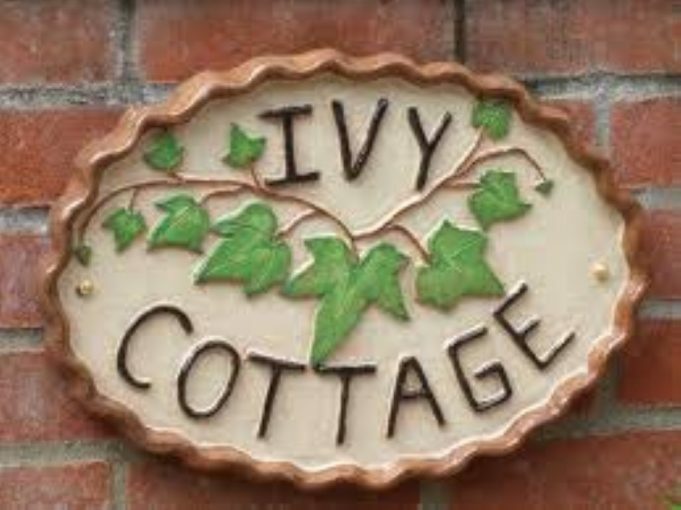 I used to live in the bungalow ‘The Chimes’, May, Ivy, Lily and Leon Hubbard lived in Morinville, Charles and Maud Cooper lived in Addiscombe. All up to around 1970ish. Just getting caught by the short lived Land Development Tax, which levied 40% Tax on all development land sold, no exemptions. Sorry my date was wrong, we actually all lived there until 1964. Was born in 1956 in the front room of 2 Elle Villas (68 Kenneth Road) and lived there 22 years. House Names & Numbers “Degema” was No 578 High Road, Benfleet where I lived with my parents until 1968.